N°PAP1 type6: FDC "meeting between the Pope Jean-Paul II and the President of the French Republic, M. François Mitterrand, Prefecture of Strasbourg, 8 October 1988". 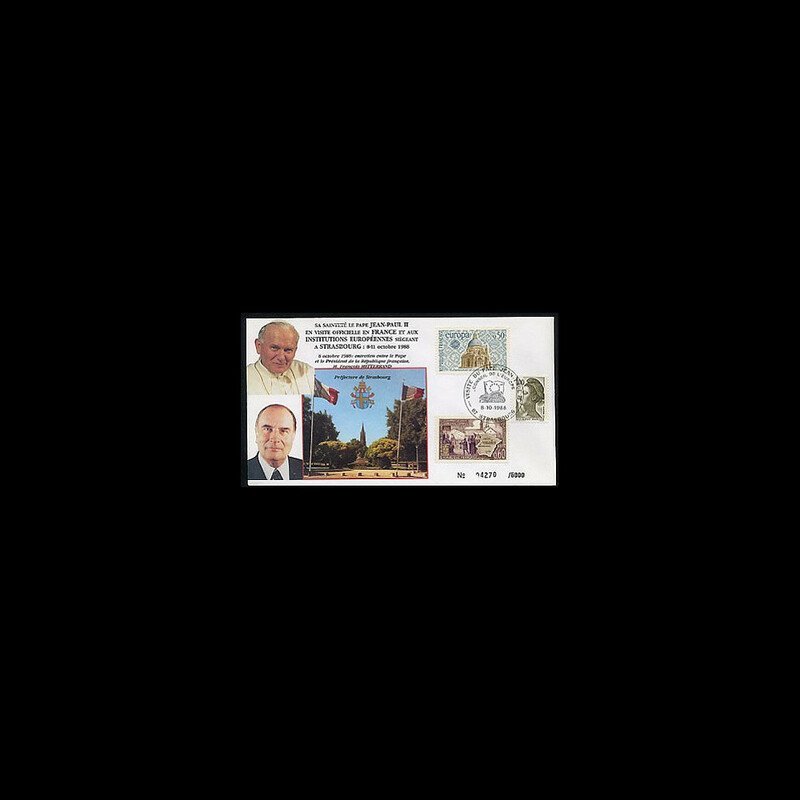 Postage (type6) 1 value "Europa 1971, Basilica" + 1 value 1968 "Enclave of the Popes" + 1 value "Marianne"
Illustrated cancellation "Visit of the Pope Jean-Paul II, European Council" Strasbourg 8.10.88. Drawing : 5.000 numbered specimens (for the 7 postage types). This envelope forms part of the collection commemorating the "Official Visit of the holiness the Pope Jean-Paul II in France and to the European Institutions in session in Strasbourg, 8-11 October 1988".